Lacy Hunt: The secular bond bull market is not over! Are the secular lows in interest rates in? Is the U.S. “Turning Japanese”? Dr. Lacy H. Hunt, an internationally known economist, is Executive Vice President and Chief Economist of Hoisington Investment Management Company (HIMCO), a firm that manages $3.7 billion for pension funds, endowments, insurance companies and others. Lacy Hunt is the author of two books, and numerous articles in leading magazines, periodicals and scholarly journals. Included among the publishers of his articles are. Barron’s, The Wall Street Journal, The New York Times, The Christian Science Monitor, the Journal of Finance, the Financial Analysts Journal and the Journal of Portfolio Management. The Board of Governors of the Federal Reserve System and the Dallas Federal Reserve Bank both published his research. The Wall Street Journal, The New York Times, BusinessWeek, Barron’s, Time, Newsweek, U.S. News and World Report, Investor’s Business Daily and many other domestic periodicals have quoted Dr. Hunt. Among the foreign press, Dr. Hunt’s views have appeared in The Financial Times, the Nihon Keizai Shinbun, the South China Post, The International Herald Tribune and The Straight Times. He has been a guest on PBS on The Nightly Business Report, The News Hour, and Wall Street Week. He has been on CNN shows Moneyline, and Business Morning and on CNBC’s Squawk Box and World Business. He has also appeared on CBS Evening News, NBC's Today Show, and ABC's World News Tonight. He has made numerous presentations in all the major financial and economic centers in Europe, Asia, the Middle East, Africa and North America. He has appeared on radio and television outside of the United States, including The BBC, NHK and TV Tokyo. Dr. Hunt has testified before various committees of Congress, including House Ways and Means, Senate Finance and Senate Banking. Previously, Lacy was Chief U.S. Economist for the HSBC Group, one of the world’s largest banks, Executive Vice President and Chief Economist at Fidelity Bank and Vice President for Monetary Economics at Chase Econometrics Associates, Inc. Lacy considers himself fortunate that he had the opportunity of working for two firms led by great bankers: David Rockefeller (Chase) and Sir William Purvis (HSBC). 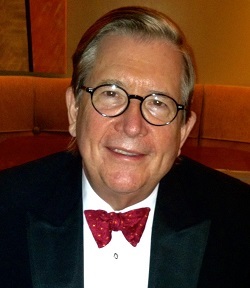 A native of Texas, Dr. Hunt has served as Senior Economist for the Federal Reserve Bank of Dallas. While at the Dallas Fed, he served on the Federal Reserve System Committees: Financial Analysis and International Economics. He successfully completed the training program at the Federal Reserve Bank of New York. When he entered the Fed, William McChesney Martin was grappling with a severe inflation and when he left Author Burns was also trying to contain rampant price increases, virtually the opposite of the challenges facing Janet Yellen and the Fed today. At the Fidelity Bank of Philadelphia he had the responsibility for managing the Trust Department’s Comingled Fixed Income Fund in the 1970s and early 1980s. This fund produced one of the highest returns during this inflationary era. He earned his BA from Sewanee: The University of the South (1964), his MBA from the Wharton School of the University of Pennsylvania (1966), and his Ph.D. in Economics from the Fox School of Business and Management of Temple University (1969). From Sewanee, he received an honorary Doctor of Civil Laws in 2013 and their Distinguished Alumnus Award in 2016. Dr. Hunt served on the Board of Trustees of Temple University from 1987 to 2010 and is now an honorary life trustee. He received the Abramson Award from the National Association for Business Economics for “outstanding contributions in the field of business economics.” He is a life member of the American Finance Association. He was a member of the Economic Advisory Board of the American Bankers Association and Chairman of the Economic Advisory Board of the Pennsylvania Bankers Association. He served on the Monetary and Fiscal Policy Affairs Committee of the National Chamber of Commerce. He was a member of The Money Marketeers of New York University. Lacy and his wife JK (Janet Kay) live in Austin, Texas. They have four daughters, two sons and three grandsons.